I grew up in a ‘because I said so’ household. “Why can’t I have an Easy Bake Oven?”, I no doubt said in the whiniest voice ever. “Because we have a real oven and because we said so!” was likely the answer from my very reasonable parents. “Why can’t I wear these filthy overalls and Nirvana inspired grunge flannel to church! ?” I’d ask my mom as we were rushing out of the house, almost late for service. “For so many reasons, but mostly because I said so!”. Thank goodness for mothers. “Why can’t I drive a car like all of my friends who have cars that their parents bought them to drive! ?” Gah… what a brat I was. My parents response was likely somewhere along the lines of, “You’re crazy. You’re lucky there’s food in the fridge for you to eat. You’ve only been on the planet for 16 years and we care too much about you, and our cars, and about other people on the road to ever merge the three. Also BECAUSE WE SAID SO! Get out of our faces starting now. ” Thanks parents. In that vein, I bring you the BEST Chocolate Chip Cookies EVER… because I said so (and also because of browned butter). I think I’ve posted this recipe on my blog before, but I’ve found a renewed spirit for these cookies after my friends at King Arthur Flour put these Brown Butter Chocolate Chip Cookies to the test. They asked, in step-by-step pictures of butter melting and flour whisking, if these cookies were the very best there are. The answer is up to you, really. Are the cookies that come out of your oven after mixing up this dough the best you’ve ever had? The answer in my opinion: HECK YES!! Obviously, and because I said so! One a scale of 1 to croissants, chocolate chip cookies are pretty simple to bake. There’s not a lot of attitude, but there are a handful of things that need to go more right than wrong when making this cookie batter. – Half of the butter is browned to a golden amber color. The milk solids in the butter will also brown and gather at the bottom of the skillet. Make sure every bit of these browned butter bits make it into the batter. We want all of their flavor! 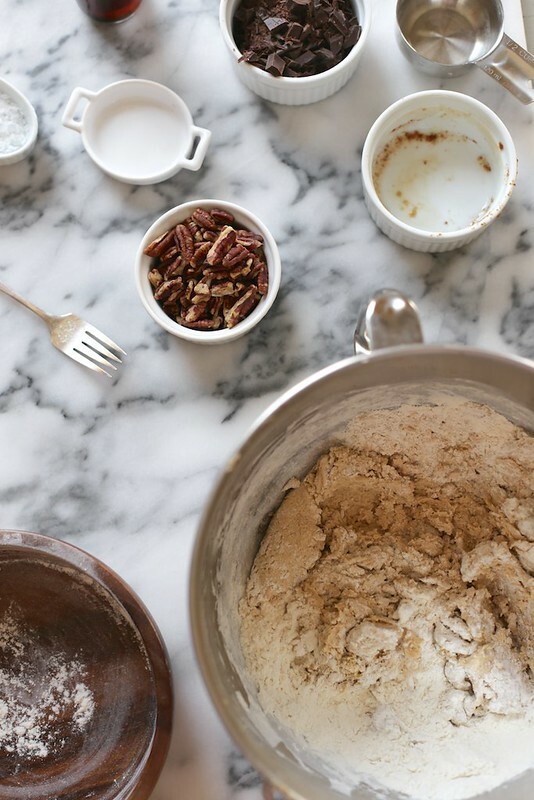 – Measuring the 2 1/4 cups of flour needed for this recipe is a big deal. We’ve talked about measuring cups vs. kitchen scales and learned the best way to measure flour into measuring cups. It takes a light but deliberate touch. 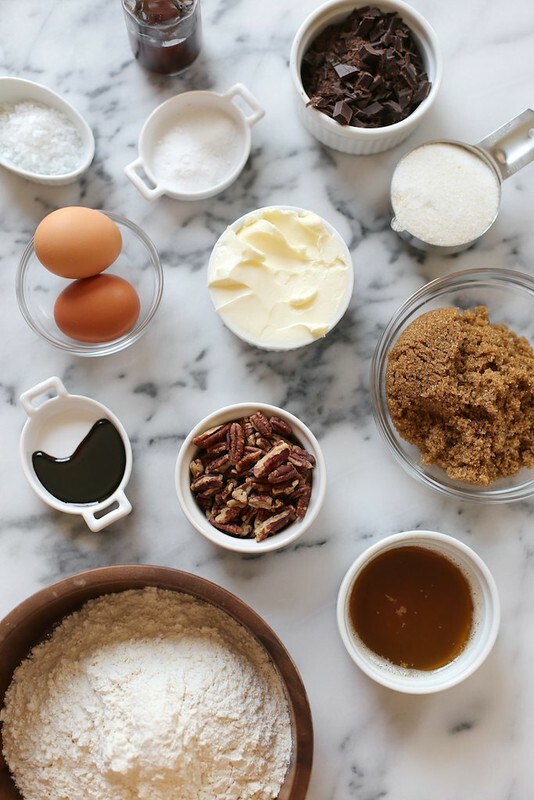 – A stand mixer or hand mixer is nice for incorporating the butters, sugars, and eggs. A wooden spoon, elbow grease and patience will also yield the same effects. – I like to mix the dry ingredients, chocolate chunks, and nuts by hand. We can get good bottom-of-the-bowl scrapes and we’re less likely to over-beat the dough. Taking it easy is best. – Chocolate should be dark and in large chunks, or milky and in round disks. You get to do whatever you want. That feels good. – Do you really need to chill the dough before baking the cookies? Well…. yes! Also… no. I try my best to chill the dough for at least 30 minutes before placing it in the oven to bake. Chilling the dough allows the dough to relax and allows the flour to absorb and settle in the with moisture added to the dough via butter and eggs. I find that chilling the dough will create a slightly more plump cookie with extra body. Baking the cookie straight away will create a slightly more flat cookie. Nuance. – Why with the salt all up in the cookies and all up on top of the cookies? Because I said so. Here’s why these are the very BEST Chocolate Chip Cookies around. Using butter two ways (browned and softened) helps create a chewy and crisp texture. Chewy on the outside and crisp around the edges. Adding just a touch more than 2 cups of all-purpose flour helps maintain the not-totally-flat-and-frustrating quality of the cookie. Brown sugar and an extra kick of molasses lend depth to the sweetness. Dark chocolate and a touch of sea salt pair bitterness and salty tang to the sweet cookies. 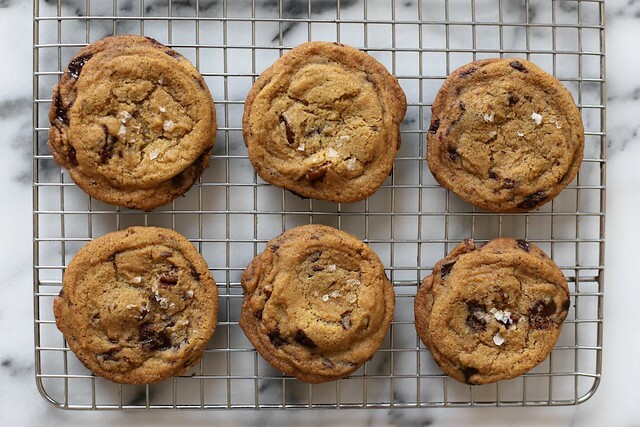 They’re perfect because of brown butter, sea salt… and because I say so. Place half the butter (8 tablespoons) in a medium skillet. Melt the butter over medium heat, swirling it in the pan occasionally. It’ll foam and froth as it cooks, and start to crackle and pop. Once the crackling stops, keep a close eye on the melted butter, continuing to swirl the pan often. The butter will start to smell nutty, and brown bits will form in the bottom. Once the bits are amber brown (about 2 1/2 to 3 minutes or so after the sizzling stops), remove the butter from the burner and immediately pour it into a small bowl, bits and all. This will stop the butter from cooking and burning. Allow it to cool for 20 minutes. Beat the remaining 1/2 cup butter with the brown sugar for 3 to 5 minutes, until the mixture is very smooth. Pour the cooled brown butter into the bowl, along with the granulated sugar. Beat for 2 minutes, until smooth; the mixture will lighten in color and become fluffy. Use a spatula to fold in the chocolate chips and pecans and finish incorporating all of the dry flour bits into the dough. 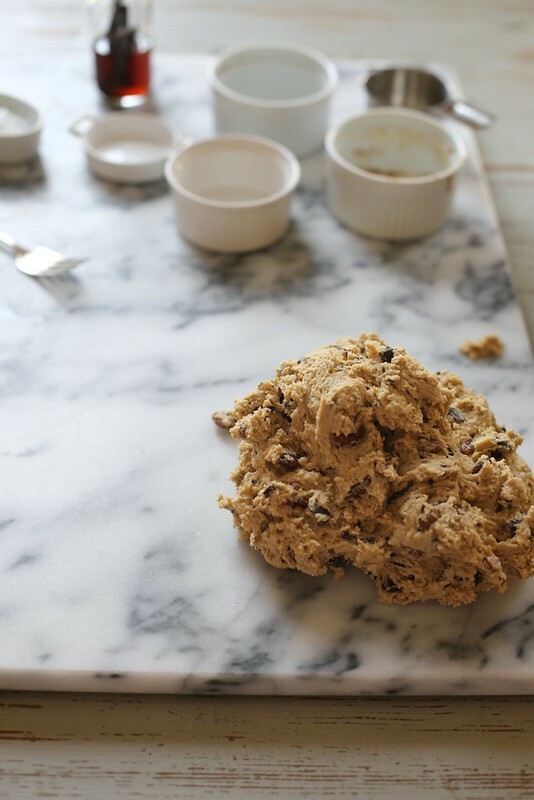 Scoop the dough onto a piece of parchment paper, waxed paper, or plastic wrap. Flatten it slightly into a thick disk, and refrigerate for at least 30 minutes. About 15 minutes before you’re ready to begin baking, place racks in the center and upper third of the oven and preheat your oven to 350°F. Scoop the dough in 2 tablespoon-sized balls onto the prepared baking sheets. Leave about 2″ between the cookies; they’ll spread as they bake. 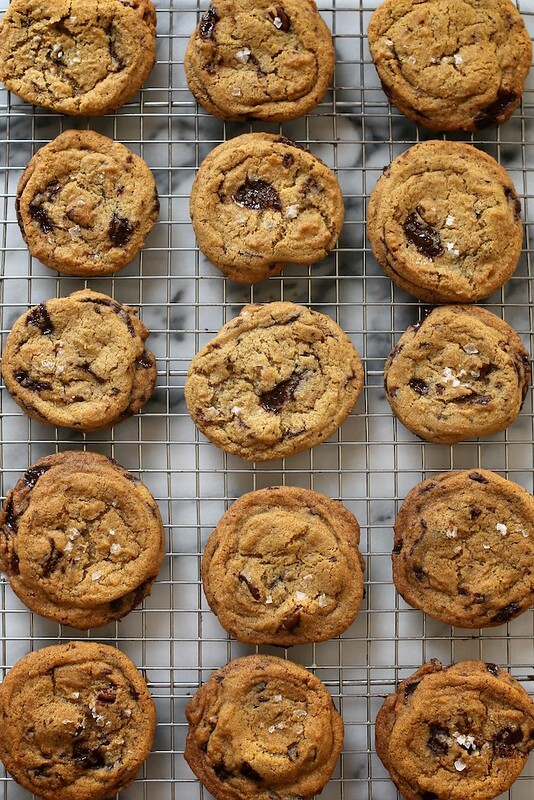 Sprinkle the cookies with sea salt, to taste — as much or as little as you like. Serve warm; or cool completely, and store airtight at room temperature for several days. For longer storage, wrap well and freeze. I’ve been putting browned butter in my cookies for a while now, and you’re right: it’s the best. I also it in oatmeal chocolate chips cookies. mmmm! 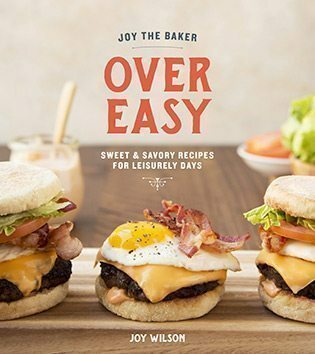 I have tried this recipe a couple of times from your cookbook and both times I totally failed. I’m not sure what I’m doing wrong with it. Maybe I don’t let the browned butter cool long enough? I really don’t know. Makes me sad that I can’t get the hang of it because I totally believe you when you say these are the best. They look amazing and I LOVE browned butter. Perhaps I will try again this weekend and let the browned butter hang out and cool a little longer. Not sure if this is way too late, but I make sure the brown butter is back to solid instead of liquid. I think it creams together with the sugar better this way and makes a sturdier cookie. I failed too :'( The final dough was initially fine. But 2 minutes later, liquid butter started to ooze out of the dough. When I put them in the oven, the cookies were literally frying in butter. Maybe I didn’t chill it? But is liquid butter supposed to ooze put from the dough? No definitely nothing is supposed to ooze. It’s very important that the batter be chilled before baking. Could it be from the softened butter, not the browned butter? I have read where using all melted butter works well in a recipe like this. Never tried it, just speculating a possible reason. I will have to try this! I just browned butter for the first time the other day for a chocolate nut pie (like Derby Pie), and the smell alone was enough to make me want to do it for everything involving butter! Lol. My husband loves chocolate chip cookies, so I will have to try this out. Thanks! Hmmm the great chocolate chip cookie debate…. I like my cookies crunchy with a bit of chew in the center. Never was a fan of “cakey” cookies. I’ve been using the Silver Palate choc chip cookie recipe for years, to rave reviews. But since you’re always (usually?) right, I will give these a go! Yes. 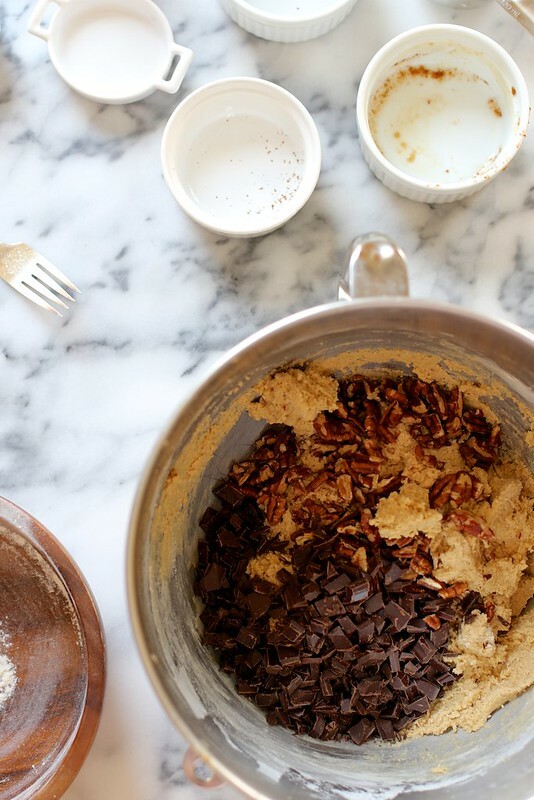 Definitely…Pinky Swear to never bake another chocolate chip cookie recipe ever again…Yes. Gosh if i could count the number of times i curse my parents name for saying that to me I would be able to afford my own oven! I don’t miss an opportunity to try your cookie recipes and they are the best because I say so! Yum! I am going to have to try these ASAP. 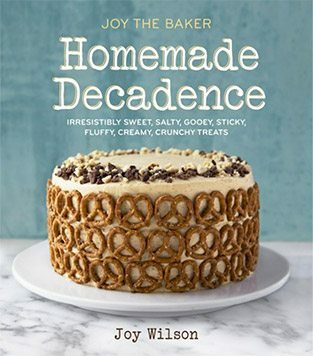 I have been a fan of the sea salt sprinkle for a couple of years, but browned butter… What a great idea! I’ve only just polished off a batch of cookies, I think I must have eaten about 6 to myself just today. Whoops! 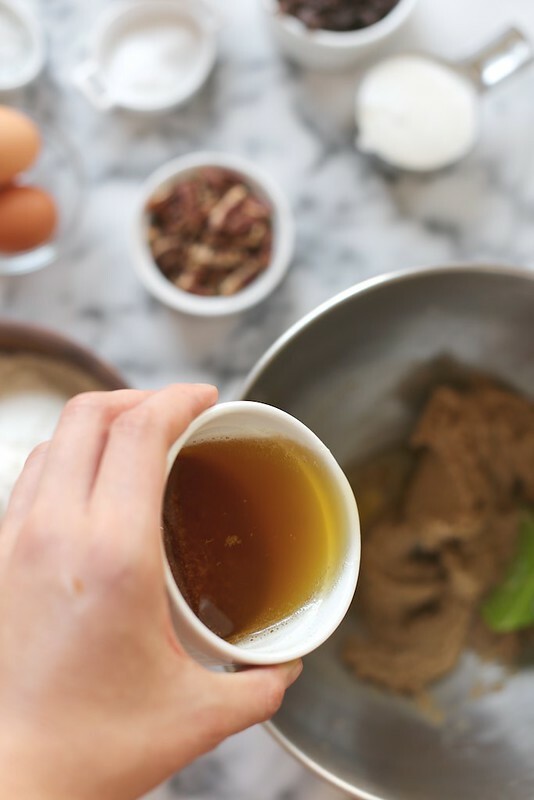 This recipe makes me want to get straight back in the kitchen to bake more cookies though – you had me at browned butter! Simply – hubba hubba. These sound so super good that I’m drooling here at my laptop. Indecent. Browned butter is still very foreign to us here in Ireland – but thanks to you, I’ve been converted. I love the distinct nuttiness it adds – a fantastic depth of flavor! Definite comfort food whilst cramming for finals! I come from a because I said so household too! And sometimes that was a little hard to take (see above re: Nirvana inspired outfits), but I would have no problem taking a ‘because I said so’ over these cookies. Because you said so? OK, YES MA’AM.